With an iconic, talented mother like Judy Garland, it's no wonder that her daughter Lorna Luft wants to preserve the legacy of the singer's music. Garland was an exuberant singer/actress who influenced generations of future stars long after she walked down the yellow brick road in The Wizard of Oz. Lorna Luft, the daughter of the late great Judy Garland talks to Weekend Notes about The Songbook of Judy Garland. But the larger than life star also had a lasting impression on her children and when asked what words sum up her mother, Luft hardly takes a breath before uttering "greatest", "genius" and "endless talent", before adding: "but the biggest words that come to mind are sense of humour". These words are the reason that Luft is currently touring the UK with new show The Songbook of Judy Garland. It visits major cities from Birmingham and London to Manchester and Oxford between May and August. Accompanying her mother on tour even before her teens, Luft, her half-sister Liza Minnelli and brother Joey have been steeped in the glitter-tinged life of showbusiness from an early age. But it hasn't all been rose-tinted glasses - she was just 16 when her mother died from an unintentional overdose from barbiturates. Luft, who has survived stage 2 breast cancer in recent years, is a no-nonsense, straight-talking woman, but what strikes me the most is how fiercely passionate she is about keeping her mother's legacy alive. She says: "My mother had an amazing legacy and my job is to keep it upheld and looked at in the right light, and always with respect. "This show is really about the music and her songbook. There was a lot of music written for her that people still sing now. There's even an advert using her 'Get Happy' song right at the moment, did you know that?" The Songbook of Judy Garland features classic and newly revealed footage of the iconic singer. Describing how tough it was to pick the songlist, Luft tells me: "Choosing the music for this show was like going into a huge library and being told to pick a book. What's in the show is what people will have seen, but also clips that were cut out of movies that have a story to go with them. The show is very much a mother and daughter story." 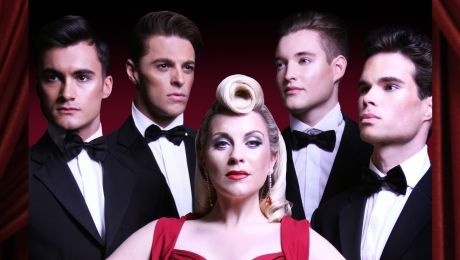 Luft's siblings haven't seen the show yet but when I speak to her, she is only on the third date of the tour and unsure if or when Liza and Joey will make it, explaining that she's on stage in just over an hour and more interested in pleasing the audience that night. She adds: "Most of all, I want to bring an element of honesty and truthfulness of what my mother was like and her artistry. My mother was the most honest performer I've ever seen on stage and film - that's why people loved her, because they believed the characters she played were real." When I ask about special memories, Luft refers me to "her book", explaining that there are just "too many to recount", adding that "it was a daily adventure" living with her mother. Garland was married five times with reports of a long battle with drugs and alcohol before her untimely death at the age of 47. However, the music she created lives on and she has become synonymous with songs like Over The Rainbow, Get Happy and Have Yourself A Merry Little Christmas. With a nine-month-old grand-daughter, Luft will be spreading Garland's legacy well within the family too. She tells me that the baby is too young to watch The Wizard Of Oz but the family has already been discussing when she will be old enough. The Wizard Of Oz's famous song Over The Rainbow is one of the hits that does feature in the show, which stars X Factor runner-up Ray Quinn and West End regular Louise Dearman. Dearman seems fated to appear in this music and dance extravaganza as she gained recognition for becoming the first actress to play both witches in Wicked, the spin-off musical to the Wizard Of Oz. 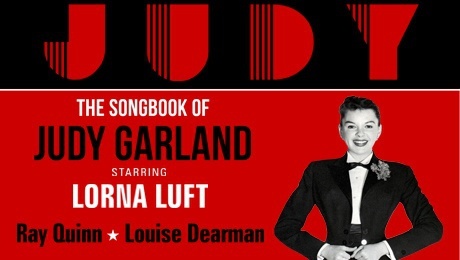 Dearman tells me that she has discovered so much more about Judy Garland since landing the role, whether from the stories that Luft has told her or the extra movie footage she's seen on tour. Dearman chuckles: "Everything keeps coming back to The Wizard of Oz for me and Wicked was a huge platform. But doing this show has really opened my eyes to her (Judy Garland's) achievements in the industry. "There are quotes that come up from greats like Gene Kelly and Mickey Rooney saying what an inspiration she was to them - and that's from the greats! She was a woman well ahead of her time." The Songbook of Judy Garland tours until August 1 and has a running time of 2h 10mins. Tickets cost from £12,90 - £38.90.